We perform toxicity testing and toxicological screening studied in vitro on a variety of products, such as pharmaceuticals, biopharmaceuticals, medical devices, cosmetics, personal care products, disinfectants, special chemicals, and tobacco, etc. Over the past few decades, testing toxicity using non-animal methods (in vitro, ex vivo, and in silica) have become more and more popular thanks to the advancement of science, collaborative development and validation efforts, consumer pressure and regulatory acceptance. 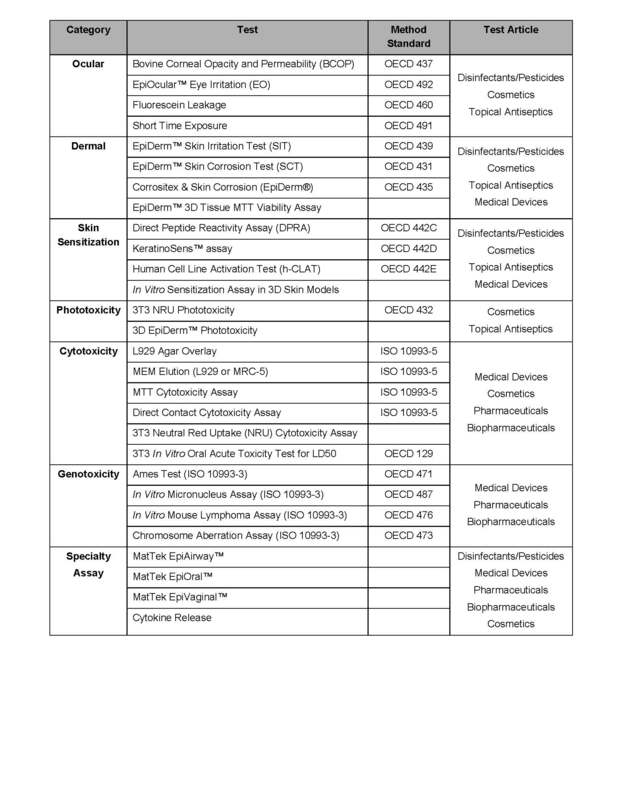 Currently, biocompatibility, ocular, oral, dermal, respiratory, genetic, and most systemic toxicity can be evaluated using non-animal, alternative methods, per standards from OECD, ISO, ICCVAM, and ECVAM.